An umbrella company for a communications giant planned an important corporate sales conference in an outdoor venue. It would be located at the state fairgrounds in a popular travel destination. They hired a well-known experiential marketing group to help them conceive the layout. The marketing company was known for producing music fests and other outdoor events. This event was a little different because it was specifically for a corporate meeting. Their customer needed a private complex for hundreds of brand employees as well as several structures for scheduled activities and events. 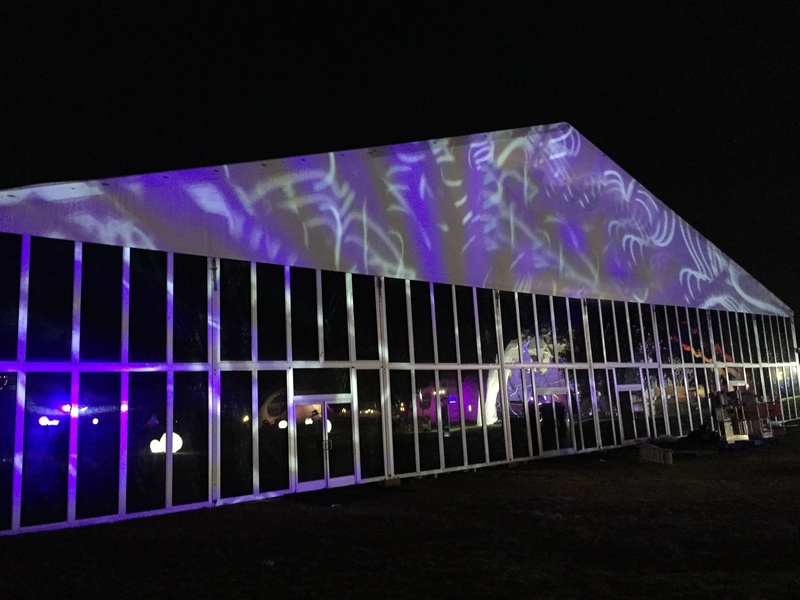 Once the idea was formulated, the issue became finding the perfect vendor partner with experience with corporate events to visualize, design, and install the temporary structures. It had to be someone with expertise in outdoor venues. Mahaffey landed the project because of multiple successes working with the marketing group in the past, and our industry reputation as a turnkey professional. The challenge for the marketing group was creating an environment that amplified the brand of their client and created a perfect environment to impart the brand’s new sales vision for the future. They needed a venue conducive to helping attendees maintain focus and spend quality time teambuilding through daytime meetings and evening activities. It was important that no one leave the premises until it was time to be transported back to their hotels in the evenings. The requirements included structures for keynote addresses, breakout rooms, comfort stations, catering tents and a quartermaster supply area to hold equipment needed for the speakers and presentations. The keynote tent offered a particular challenge because of the seating requirements which demanded tiered seating to accommodate expected attendance. The Mahaffey team is no stranger to large outdoor venue projects. 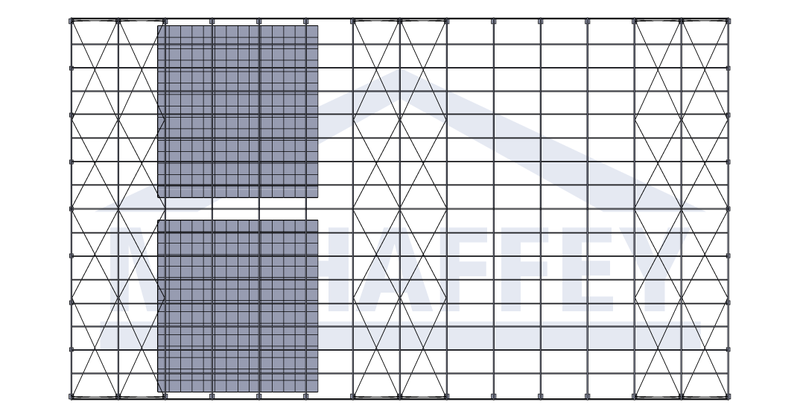 After considering the needs of the customer, we presented a proposal accompanied by CAD drawings of our recommendations for the sales conference. It included 66,000 sq. feet of engineered fabric structures. The Arcum product was recommended for five of the ten structures proposed. The Arcum style has a slightly curved top and offers elegant customizable opportunities. Optional capabilities made it easy to create a functional space for speakers, meetings, and gatherings. We included a double-stacked glass front, which allowed the marketing group to add branding to the front of the building. Finally, 30,000 sq. feet of tiered flooring accommodated the seating requirements. Mahaffey began planning for the event in June, and we were thoroughly prepared and ready to mobilize in August for the installation. The challenge of elevation in a large outdoor park area could make levelling difficult for less experience vendors, but it was nothing that our team of experts couldn’t quickly and easily manage. The structures were ready in plenty of time for the sales conference to begin in the first week of September. Two Mahaffey team members remained on standby for the duration of the event. The keynote structure was stunning and the event went spectacularly for the end client. 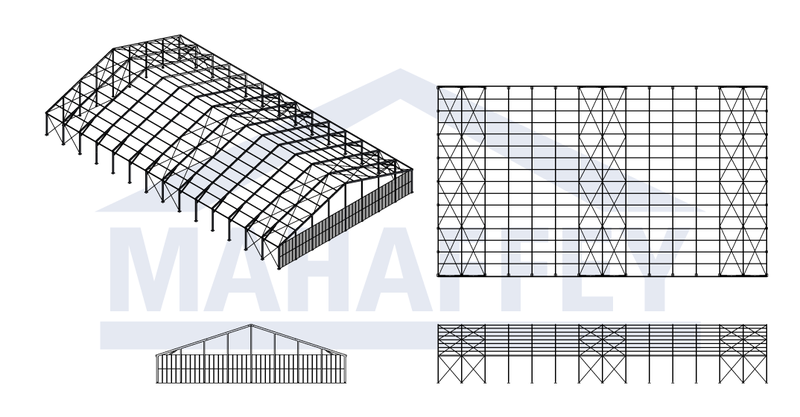 Mahaffey has years of experience setting up innovative, custom solutions. It doesn’t matter if your project is a music festival with multiple structures, an elegant wedding, or an industrial construction warehouse, our team can find the perfect solution to fit your needs. If you are looking for a partner that’s quick, reliable, and professional, call Mahaffey’s expert project managers. Contact us today.